I was born to be WiLD. I’m sure of it. I’m living. Now, I’m living. My work in the world feels like home. I teach women healthy habits like journaling to listen and declare, like dancing wild as often as possible, like doing strong as a verb, and setting boundaries to let their Realness take air. Michelle Bernard: When I wake up — My routine before I teach an exercise class. from Michelle Bernard on Vimeo. Michelle Bernard: Warm. from Michelle Bernard on Vimeo. Michelle Bernard: the wonder within from Michelle Bernard on Vimeo. Michelle Bernard speaks: another one, a poem and much more from Michelle Bernard on Vimeo. Create your art, and name yourself: artist. all over your canvases, notebooks, iPads, laptops, journals, microphones, and pottery wheels without restraint or fear that someone might question your validity. You don’t need permission if you have a pulse. Because art belongs to our souls, not our egos. 10. prayer is a bridge. use it and cross to safety. i got nods when i wore the beige suit (this happened Twice in all my 49 years). hobby don’t make no money. that would have to happen from magic. be like those explorers you spy , like James Baldwin, Toni Morrison, Joyce Maynard, the ones who wore wide floppy felt hats covering one eye. meet them and sip cappuccino til 3 then wine till your journals swell. be lifted up from your juliette balcony by the magical balloon filled with the air from your imagination and meaning. both have the power to raise you up, even when it rains. normal, at this point, is absolutely impossible. sometimes you have to follow. how fast should you lose weight? after the stillness, you’ll know. and when you know what, trust your step then the next step then the next step to show you how. but first, choose. J.A.M. 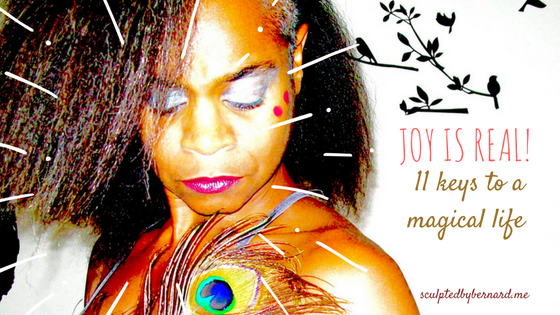 for wellness, realness, and fulfillment — click my eye! there is beauty, even in a foggy night. come alive. I read better without my glasses🤓. My book is ready for ya🎊💥 beyond words—finding fulfillment between the lines 🎁✨ https://amzn.to/2Xa3KkD (Link in bio 🖤) Get WiLD with me and see that your imagination can penetrate your life. Enter your email address to follow this blog and receive notifications of new posts from Michelle Bernard by email. Yoga begins when the mind chatter ceases. Copyright 2010 - 2018 Elena Levon photography. All rights reserved. And You Know. Other Stuff.